It features the Lift Me Up stamp set and coordinating Up and Away thinlits. I love how you can cut each stripe of the balloon in different colours then layer the detailed balloon over the top. See the different pieces there at the left in this pic. Colours: I've used Watermelon Wonder, Calypso Coral, Blushing Bride, Pink Pirouette and White for the stripes then Basic Gray over the top for the detailed layer. Soft Sky for the base layer and some cute clouds to finish. Balloon Options: You can either keep the balloon basket on (such as in my card below) or you can snip it off and replace it with a little stamped note (see card above.) There are a bunch of different balloon themed greetings in a snazzy font. Adhesives: I used the fine tip glue for this one. You just need a little. I'm not the biggest fan of liquid glues (I always seem to get them EVERYWHERE!) but I quite liked the fine tip glue for this project. Have you ever been in a hot air balloon? I love watching them on the horizon from our back balcony on clear mornings. John and I (and a little bump that was to be Hannah) went up in one in Canberra. Such a smooth ride and so quiet. A memorable trip and great views of our capital city. I'm enjoying creating with the balloon bundle. 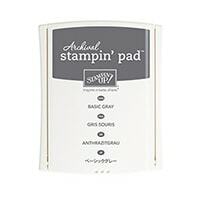 Get the stamp set and thinlits as a bundle and save 10%. Shopping from home? I love to shop in my PJs. Here's the products I've used. During August we have a fabulous Big Shot special for you. Buy yourself a Big Shot and get a free stamp set/framelit bundle - 5 to choose from. 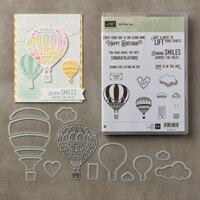 OR If you've already got a Big Shot, get 15% off these 5 stamp set/framelit bundles. That's a little hard to read isn't it. Here's the bundles you can choose free with a Big Shot purchase (select one), plus the 15% off price in the last column if you've already got a Big Shot and/or are adding to your framelit/stamp collection. * Bright and Beautiful Stars is from our upcoming Holiday Catalogue which goes live on August 28th. Not sure if you need a Big Shot? 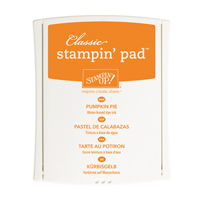 Here is a little video from Stampin' Up showing all the things you can do with this super handy machine. I LOVE mine and use it all the time. A great investment if you love your papercrafts. With the steel dies you can also cut fabric and a heap of other materials. 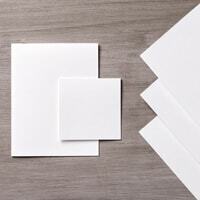 Our framelits and embossing folders are firm favourites with all my class regulars and customers. Get yours today: Find them here in my online store. I took my colour scheme (and that piece of patterned paper) from the Winter Frost Specialty DSP. Island Indigo, Coastal Cabana, Pool Party and Smoky Slate. Some silver glimmer paper goes well too for a bit of a sparkle. And I'm completely in love with those gorgeous Frosted Finishes embellishments. Have you got one of the new Magnetic Platforms for the Big Shot? They make using framelits so easy peasy. 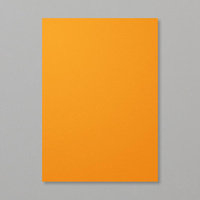 No more post it notes. Hannah had a play too. We quite enjoyed a nice bit of mum and daughter craft time. Here's Hannah's card. She loves to raid my scraps box and see what she can put together. Have a fabulous Spring day and I hope you get some creative time this week. Something take your fancy? Click the link to shop in my online store or phone/email through an order as usual. Festive Flurry stamp and framelit bundle. Find it here in wood mount, or here in clear mount. 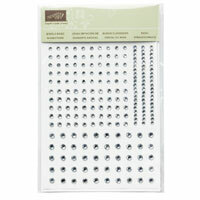 Frosted Finishes Embellishments - oh so pretty and sparkly. Find there here. Funny story with this bundle of stamps and framelits. They flashed a pic of them up on the screen at convention and I thought, 'Nah, not for me.' Then the presenter showed a bunch of gorgeous samples and I went from 'Nah' to 'Gotta have that jar' in a flash. Quite often the way isn't it - you need to see it in action! 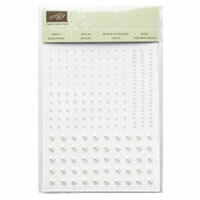 The stamp set is a set of 14 and there's a coordinating set of framelits to help you cut out the main images easily. Get the bundle and save 15%. Page 29 of the Holiday Catalogue. I'll see you tomorrow for another card featuring Perfectly Preserved plus the Orchard Harvest DSP. Only 6 spots left Wedneday and 2 spots left Thursday for next week's launch nights. Get in touch if you'd like to book in. Details here. Time to share some of our Christmas In July class cards with you. Today's card uses the Elegant Bird Die which I had not even noticed until Beth Stewart showed us some beautiful cards featuring it at Convention in May. Thanks Beth! Some retiring products featured here - Many Merry Messages stamp set and the Triple Layer Doily Punch plus the always elegant Mocha Morning Specialty DSP. Here's another version - we had lots of choices for this one. This one features the chunky champagne glass glitter on the wing. 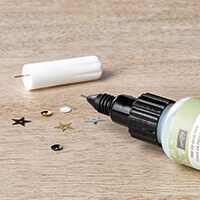 We used the Big Shot Multipurpose Adhesive sheets - stick some to cardstock, run through the die, then peel the backing off and dip in the glitter - too easy! Other cardstock: Crumb Cake base for the first one and Soft Suede base for the next two cards. 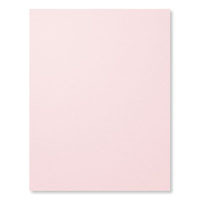 Also Very Vanilla cardstock embossed with the Vintage Wallpaper embossing folder. And some lovely brads - neutrals glimmer brads and antique brads. Plus some little ones for the eyes. To make these cards we stuck strips of cardstock and DSP to a rectangle scrap of cardstock - we used gluesticks. Then we ran this through the Big Shot with the elegant bird die (which will be back next month!) Strip side down if you want your bird to face right and strip side up if you'd prefer it to face left. And one more version before we sign off for today. This one features a lovely fine dark brown glitter from a multipack. Very sparkly. Retirement list orders are still coming in - it is not too late to order if something has caught your eye from the retired list. (Unless it is one of the out of stock items listed above.) Get in touch before the end of the month if I can help with an order. We are experiencing a bit of a longer than usual shipping time. The warehouse crew are working overtime I believe to get them out as fast as they can but we might need to allow a few more days than usual while pacing for the postie! We had a fun few nights here in Avondale Heights launching the new Autumn Winter Mini Catalogue. I've got some pics to share over the weekend but wanted to duck in quickly tonight to announce the winners of the Hostess Rewards Prize Draw. Everyone who entered the draw picked out a couple of choices for if they won. Here's our lucky winners for Autumn Launch 2012. Plus we had 6 door prize winners who selected a prize on the night from our basket. Congratulations to all of our prize winners and thanks to everyone who came along to launch nights this week and helped make it so much fun. I really enjoyed celebrating all our new goodies with you. Gotta share a quick few pics of my new bag - no not a handbag, no not a suitcase, it is my new Big Shot Bag! I do really quite like the dotty lining! I was joking with my stamping friends that actually I don't really take my Big Shot out very often but I thought once the bag arrived I'd take it for a little walk round the block - ha ha - so this pic is especially for my stamping friends who bring such rich friendships to my life. :-) Me and my big shot off for a stroll! Have a lovely weekend. I'll pop back in once I unload my camera to share a few more pics from launch nights including our two make and take cards.